To attract meritorious and needy students of Jharkhand towards HEIs of national importance and excellence for higher studies in technical, medical, legal, management courses as well devote productive time in quality research and scholarly pursuit, a new scholarship program, Chief Minister Fellowship Yojna(CMFY) is being introduced now. ** Under this CMFY scheme, students pursuing professional courses (B.Tech/B.E/MBBS/ Dental, Integrated MBA, Integrated LLB ) can avail this fellowship on their enrolment in above Top 163 institutions of the nation. Step 1 : Go to the official website of Chief Minister Fellowship Yojna through the URL provided above. Step 2 : Then click on the “Registration For Student” link in the home page. 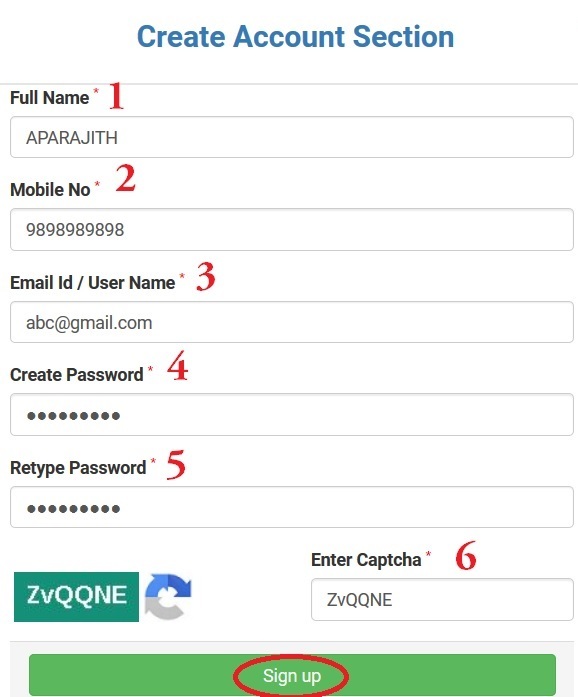 Step 3 : Fill the registration form with the required details and click on “Sign Up” button. Step 5 : Enter your OTP number for verification. Step 6 : Fill the remaining details to complete the application. Scholarship scheme is divided into two major categories. Students need to select the relevant category based on their class/course in which they are studying. These categories are detailed below. This scholarship scheme is for the students studying in top hundred colleges across India such as IITs and IIMs. This scholarship scheme is for the student doing Technical and Professional courses Graduation or Post Graduation Level. This scholarship scheme is for the students studying in universities across Jharkhand. This scholarship scheme is for the students who excelled or stand at apex in PhD entrance exam of Jharkhand State University. ** Student who stand at apex or get outstanding position in PhD entrance exam of State Universities of Jharkhand including private universities shall be given a fellowship of Rs 15000 per month for a maximum period of 3 years subject to their satisfactory progress at the end of the year. ** In addition to the above two assistance, Students selected to present their Research Work in Top 100 Global universities shall be provided Rs 1 Lakh or required amount for travel abroad once in life. Applicants can apply for scholarship under CMFY till 15-Feb-2019. I applied for CMFY Ph.D. Fellowship. After that I am not getting any information. Please give me the helpline number.